Fruit and Veggie Chops - Play Along! 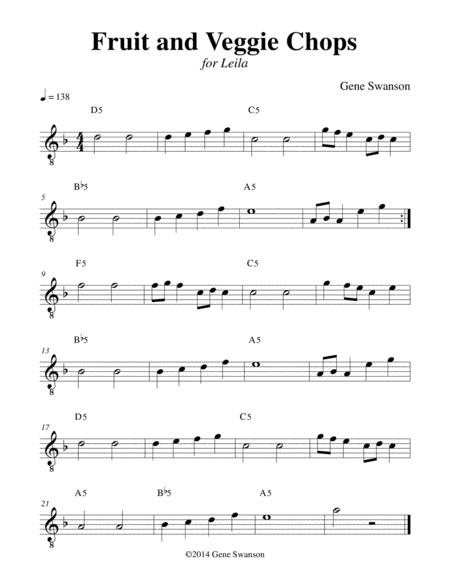 Composed by Gene Swanson. Repertoire, General Instructional, Thanksgiving, Children's Music, Recital. 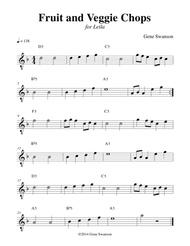 Lead Sheet. 1 pages. Published by Gene Swanson (S0.444163). Fruit and Veggie Chops is the third tune from "Play Along! series - Student Inspired Thanksgiving Tunes for Guitar Vol. #2"
Preview: Fruit and Veggie Chops - Play Along!